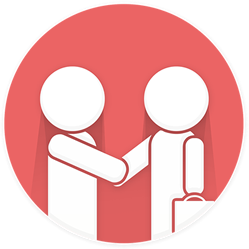 Our customer service team is here to answer all your questions or resolve any issues that may have come up with our product or shipping. Finally a way for basketball players, of all ages, to learn about developing the correct basketball shooting mechanics without having to spend a fortune on a professional shooting coach. If you need help with your order use our Contact Form. Our standard delivery in the United States is United States Postal Service. Expect 3 - 6 days for your product to arrive. Your product is covered by our 90 day warranty. Innovo Sports warrants to the original buyer that the product will be free of defects in materials or workmanship for a period of 90 days from the date of purchase. If the product is defective and was purchased from a retail store, return it along with the receipt to the retail store where it was originally purchased. If the product was purchased from this website return it along with proof of purchase (packing slip) postage prepaid to the address below for replacement consideration. This limited warranty does not cover any damages resulting from an accident, misuse, abuse or lost merchandise. This warranty is only valid in the USA. All returns sent to Innovo Sports require a Return Merchandise Authorization Number (RMA#). For returns to Innovo Sports and any other product inquiries, please send us a message for a return merchandise authorization number. WARNING: Intended to only be fasted to your forearm. Do not over tighten the band to prevent the loss of blood circulation, keep away from small children.